The dresser comes with dove tailed drawers with ball bearing action for easy utilize by its users. 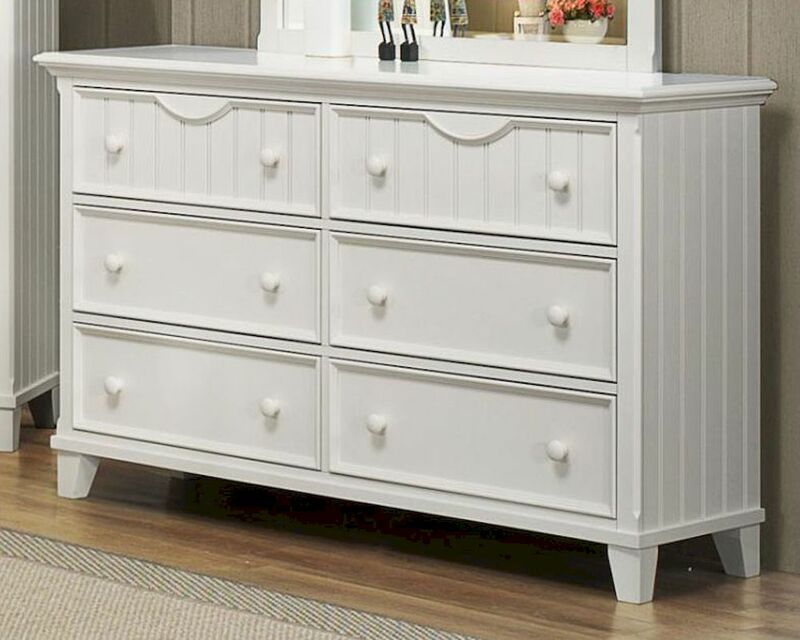 The dresser made with fine workmanship with a subtle yet charming white finish proves to be another piece from the Alyssa collection that would be a marvelous addition to your interiors. This piece would prove to be a fine addition to any room bringing a dash of elegance and exquisite style to the very former.